Beacon technology keeps appearing in a variety of vertical markets and their uses are continuously expanding. While there are countless possibilities to explore with beacons in retail, manufacturing, and education, their use in healthcare is quite revolutionary. Hospitals are changing from an archaic pen and paper system to a finger and keyboard system. Even beyond that with Bluetooth enabled medical devices some data transmission is automatically sent and stored without any human interruption. Doctors and nurses can now begin to utilize mobile devices to access patient charts and data, Rather than going from room to room to see their vitals and access basic information, the device, connected to the hospital's beacon network, bring the information to the doctor/nurse. 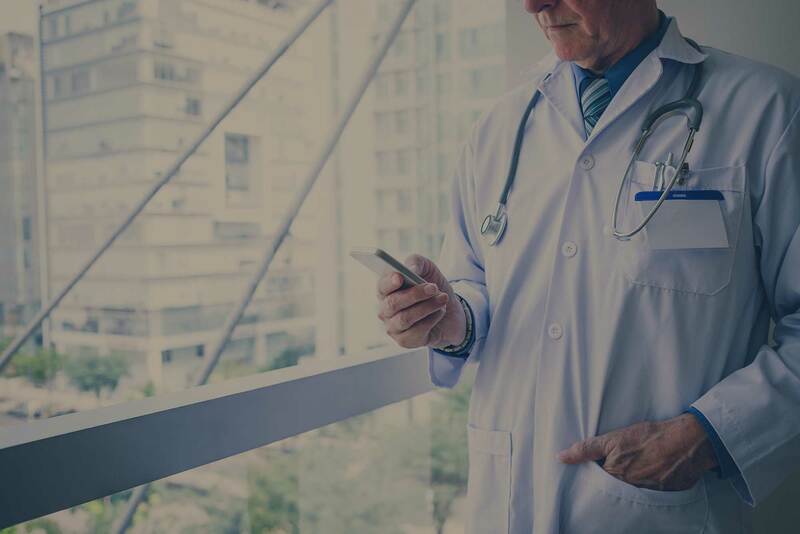 To give you a more detailed look at how beacons are helping to transform hospital efficiency, productivity and the patient experience, here are 6 benefits you can expect when implementing a beacon strategy. Having automatically transferred vitals and patient information helps in proper care of the patient. There is always the possibility for human error when writing down a temperature, weight, or blood pressure. Mistakes, while they can be small, can alter an entire treatment plan. Using mobile devices and location services (RTLS) can be monitored and restricted with security policies that restrict access to specific user groups, unlike the previous paper method in which almost anyone could pull and look at a file. Having patient history, allergies, and any pertinent information in one centralized location that can easily be seen and interpreted saves time and money. Papers can easily be lost or stolen. Misplacing a file or theft of a file not only becomes a legal issue from HIPPA, but patient charts may contain financial and other personal data as well. Suggested Reading: "Why Hospitals Need a Better Strategy to Secure Patient Data"
Not wasting time searching for a file, remembering to look up a patient's newest vitals, or time requesting doctors notes about a previous visit plays a large role in the efficiency of hospital employees. Suddenly in real time Dr. Jones has the blood work from today's visit along with the previous visit to make a quick and accurate comparison. What about for the patient? Patients who return for regular visits such as routine labs, weekly allergy shots, or chemotherapy can be automatically checked-in via an app and given appropriate instructions for their visit. Locating staff can be useful in emergency situations or one where a doctor splits time between multiple floors. Say there is an anesthesiologist assigned to multiple floors, using beacons he can easily be found rather than wandering the halls looking for said Doctor. What about patients in assisted living who have Alzheimer's? Locating these patients with mobile devices (or wearable technology) and beacon technology can aid in care and safety of that patient. Additional Suggested Reading: "How to Improve the Patient Experience Utilizing Beacons"
Beacon technology has numerous ways it can benefit the hospital environment that collaboratively transforms healthcare for the better. Seconds in medicine can be lifesaving and efficiency saves both patients and doctors time and money. In the end creating a beacon strategy for your hospital will be a life changing (saving) decision. At SecurEdge Networks we're experts at designing and implementing the wireless network needed to support beacon technology and would be happy to answer any questions you might have, simply contact us here!